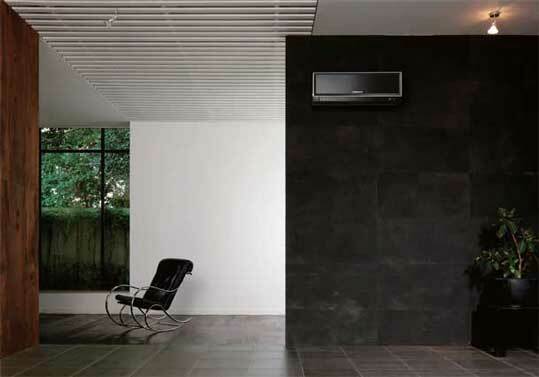 We are introducing the stylish new Zen air conditioning unit from Mitsubishi which boasts an A-rated energy saving performance and COPs (Coefficient of Performance) of between 3.71 and 4.57. Recently launched at the 100% Design Show @ Earl’s Court, these Zen units deliver cooling capacities of between 2.5 and 5.0kW and heating capacities of between 3.2 and 5.8kW and come with an advanced ‘silent mode’ fan speed setting that provides ultra-silent operation as low as 21dB making it an outstanding choice for your office, home or workplace. The Zen unit is available in three sizes, all styled in a luxurious high-gloss black, silver or white finish resembling modern audio-visual equipment and contributing to the high-quality feel and looks.